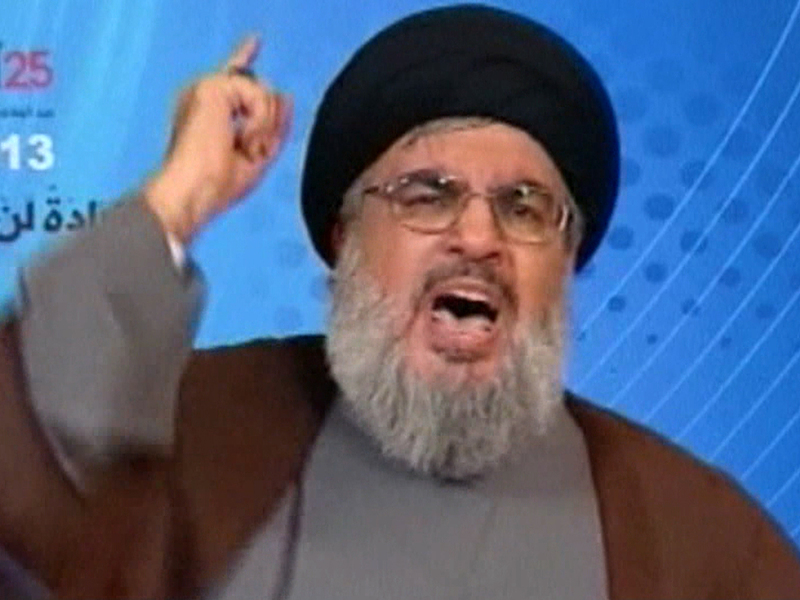 JNN 13 July 2015 Beirut : Seyyed Hassan Nasrallah, the secretary general of Hezbollah, reaffirmed the Lebanese resistance movement’s support for the Syrian fight against terrorism, saying that if Syria falls, so will Palestine. Nasrallah made the remark during a speech on Friday to mark the International Quds Day, as designated by the late founder of the Islamic Republic, Imam Khomeini. Elsewhere in his remarks, he referred to the Saudi military strikes against Yemen, and said Arab Muslims have abandoned the people of Yemen. Israel, “the mother of all terrorism,” presents itself as a force fighting terrorism, Nasrallah said. The Hezbollah leader said that, once Syria was plagued by conflict, the enemies focused on Iran and the resistance movement as the remaining greatest threats. He said the resistance movement proudly poses a strategic threat to Israel, “but has not reached a level to pose an existential threat” to Israel. Nasrallah said that Iran is the only country that, in the mind of the Israeli officials, poses an existential threat to Israel; thus, they seek to incite the entire world against the Islamic Republic. “Are the Palestinians not Muslims?” he asked. The Iranian government and people under the leadership of Ayatollah Seyyed Ali Khamenei will never recognize Israel, he said. Despite the sanctions and threats of war against Iran and the media and psychological wars waged on Iran, the country is the only country that supports Palestine, he said. Any talk about a Shia crescent is a lie by corrupt Arab officials, he said, adding that Iran is an ally of Arab countries. Elsewhere in his remarks, he condemned the recent bombing in Shia mosques in Saudi Arabia and Kuwait. He said the bombing in Kuwait was meant to incite sectarian conflict in the country, but to no avail, as the country’s emir, government and scholars prevented such a scenario from playing out. This entry was posted in Lebonan, Middle East and tagged Hassan Nasrallah, IS, israel, Lebanon, Palestine, Syria, Zionist. Bookmark the permalink.